Fox & Feather | Andrew Sutton, R.G.D. 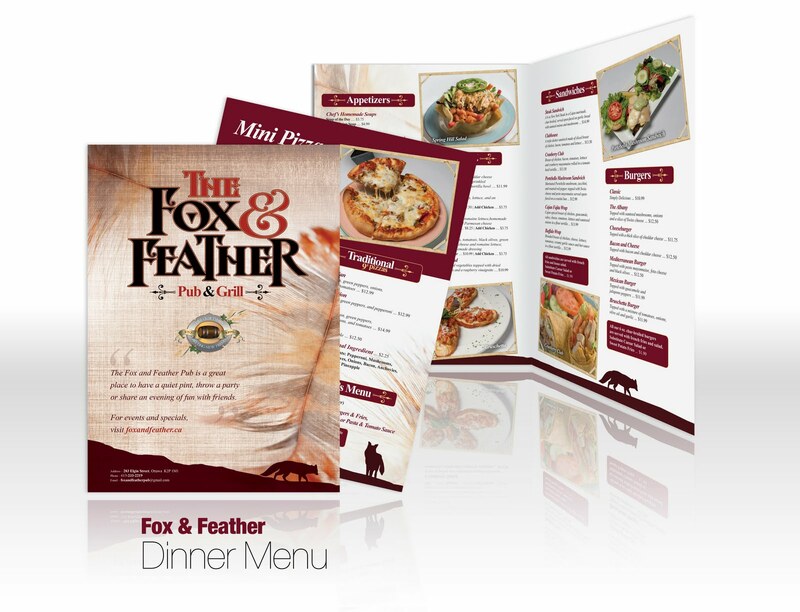 This entry was posted in g33kDESIGN, iBrand.ca and tagged Fox & Feather, Graphic Design, iBrand.ca, Layout, Menu, Ottawa by Andrew. Bookmark the permalink.